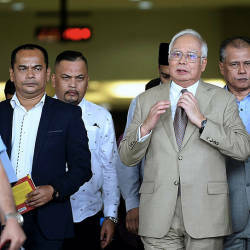 16 Apr 2019 / 13:23 H.
However, he said Malaysia might need to build a high-speed train later on may be from Johor Baru-Penang or to the Thailand border. 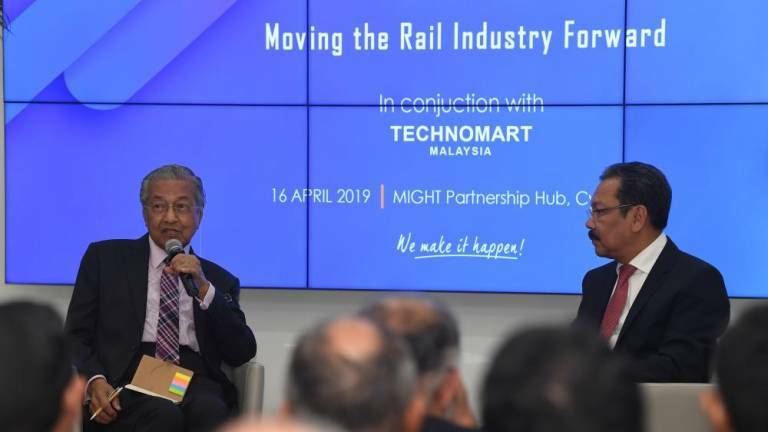 “So we will not build the high-speed train yet, but we want to improve the quality of services given by our railway system, and that has been done to some extent, by double-tracking and electrification,“ he said at a question-and-answer session after delivering his speech at Technomart Rail 2019 showcase here, today. 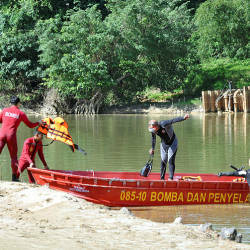 “If the line is long enough and save about two to six hours then I think high-speed train would be the answer,“ he said. The Kuala Lumpur-Singapore High-Speed Rail (HSR) project was suspended in September last year until end-May 2020 following the signing of a supplementary agreement between Economic Affairs Minister Datuk Seri Mohamed Azmin Ali and Singapore Transport Minister Khaw Boon Wan.